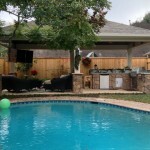 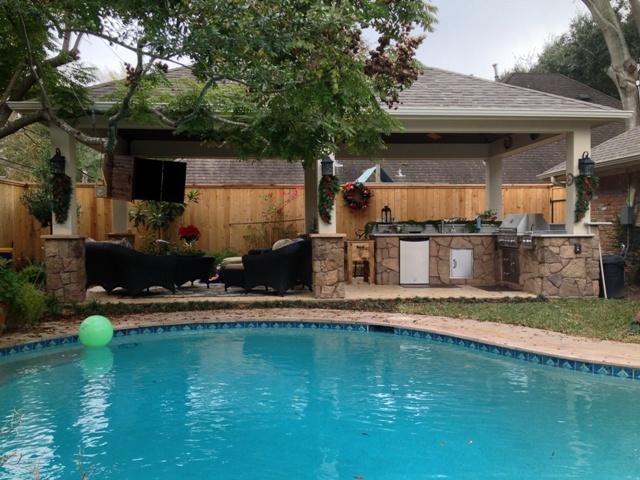 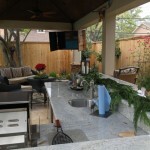 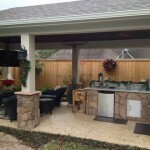 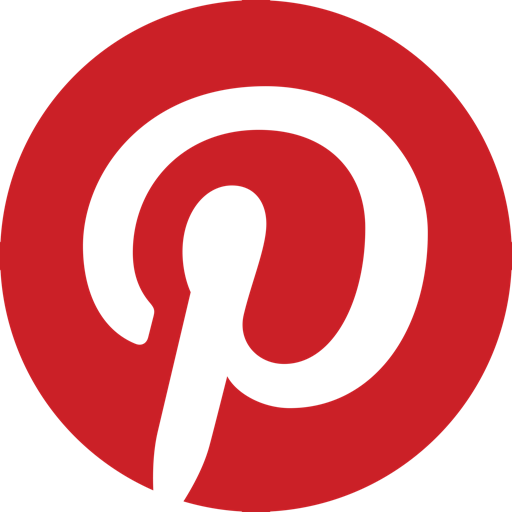 Houston Outdoor Living Spaces – Christmas party poolside! 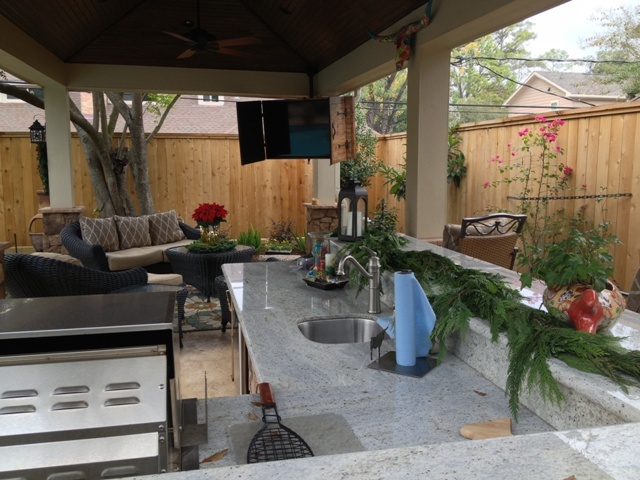 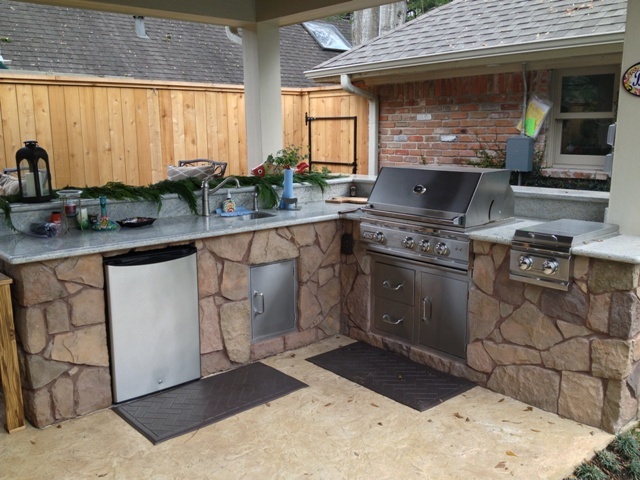 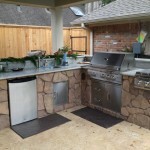 Welcome back to Houston Outdoor Living Spaces – our blog series on beautiful outdoor rooms, outdoor kitchens, patio covers and more in the Houston area! 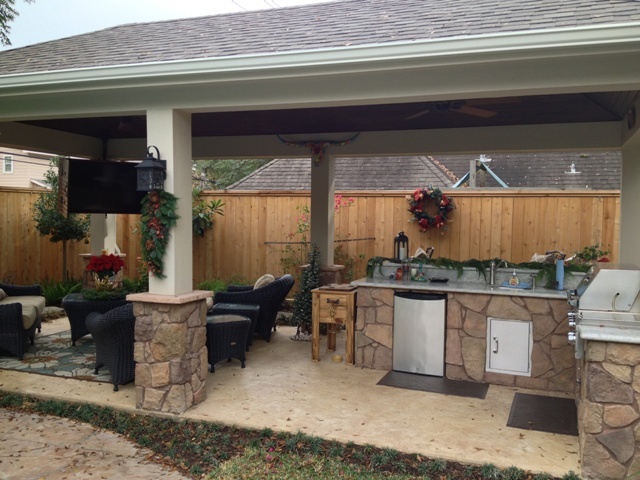 Our December 2012 installment features one of our favorite outdoor living spaces – a stone kitchen, bar and spacious sitting area overlooking the swimming pool. 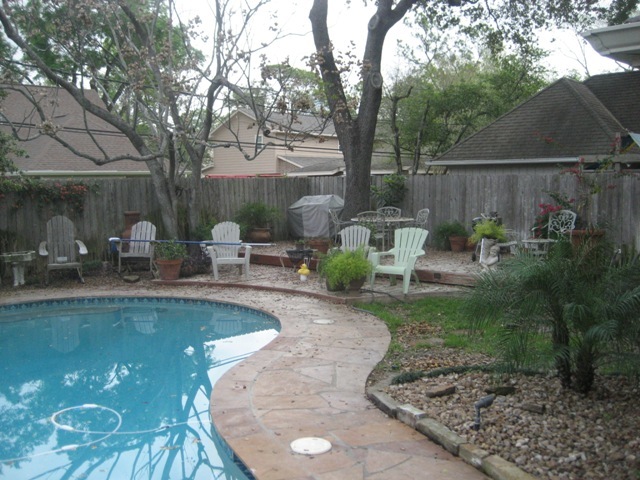 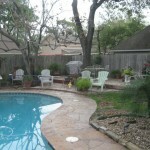 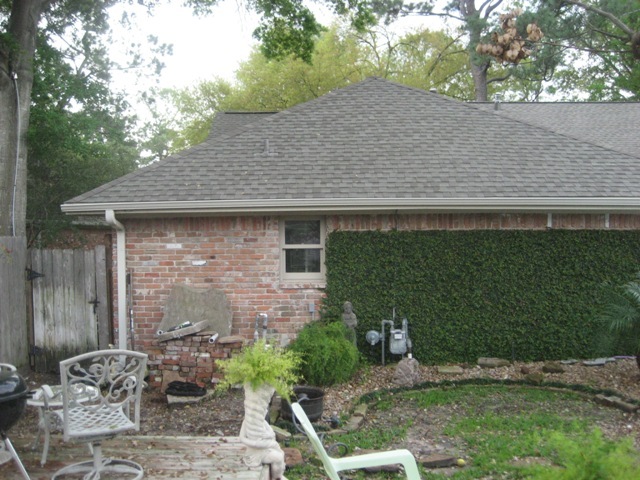 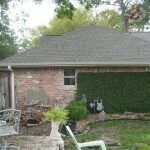 What a perfect place for a family Christmas party in this mild Houston winter!